In February 1906, HMS Dreadnought was leaving Portsmouth shipyards. On the same date back in the Adriatic, the three Herzerzog were in completion. 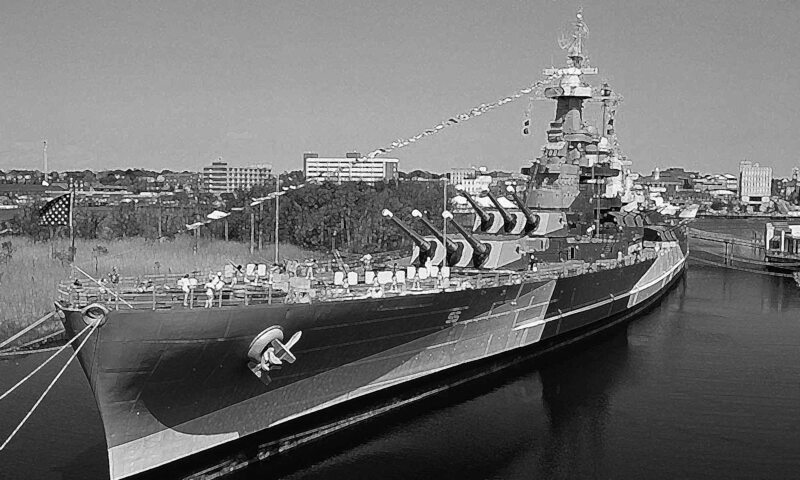 The latter carried four 240 mm guns and displaced 10 000 tons versus ten 305 mm and 20,000 tons for the first one. 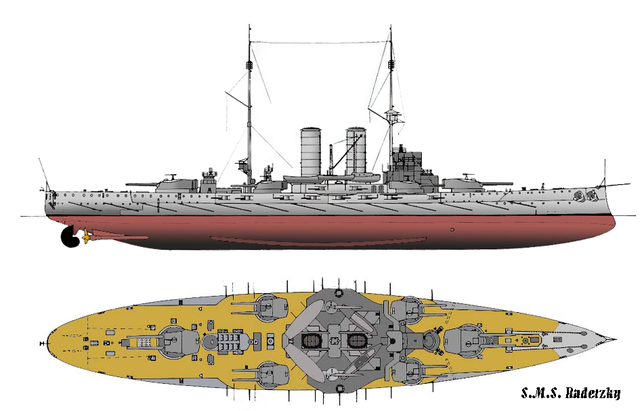 This simple comparison illustrated the gap between Austro-Hungarian shipbuilding at the time, hampered by numerous budget cuts, and aggravated the break between dreadnoughts and pre-dreadnoughts. The Admiralty, now led by Admiral Montecuccoli, was conscious of having to study a new generation of a battleship. 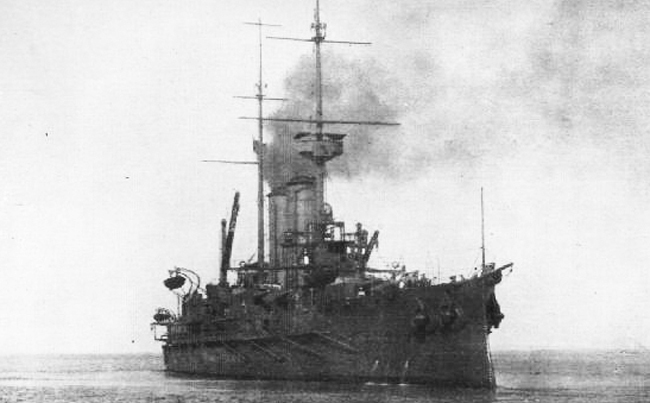 From the launch of the Herzerzog Friedrich, a new type of battleship was started, to be integrated into a massive modernization plan comprising twelve modern battleships, four battlecruisers, and eight light cruisers. 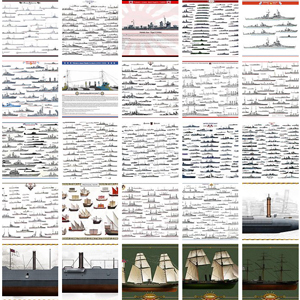 Between September 25 and September 29 1905, a meeting was setup to decide specifications for the future battleship. 5 plans were studied, Monteccucoli and the staff leaning for a battleship design with four 305 mm guns and eight 190 mm in barbettes and turrets, while Karl Popper, director of shipbuilding at STT, had opted for a configuration of six 305 mm guns divided into two twin turrets fore and aft and two single turrets on the broadside. Eventually, the Admiralty decided for the first project, knowing that the STT holds in Trieste could not receive a vessel displacing more than 16,000 tons. 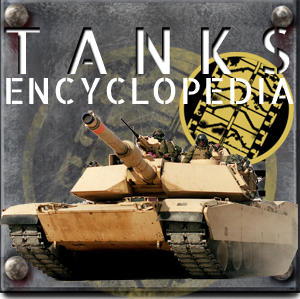 Some modifications were made to the plan, including the replacement of the 190 mm by 240 mm guns in twin turrets, like the British King Edward VII class Battleships. In terms of hull size, the generous dimensions allowed, while remaining within the limit of 15,000 tons, more powerful machines, but still no turbines. 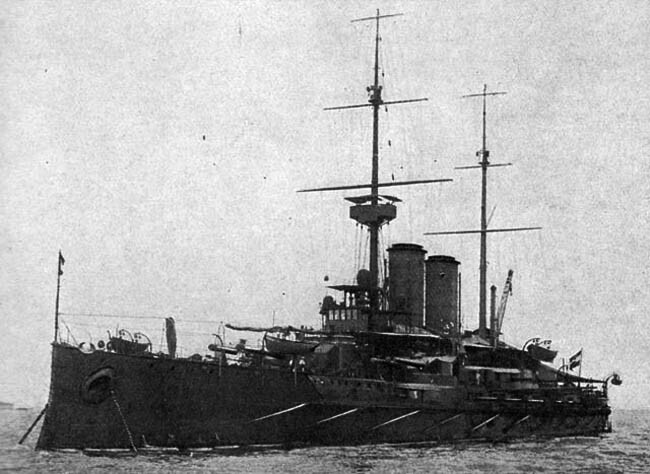 A good compromise was found, like partially sacrificing protection, and the three battleships could sustain 20.5 knots. 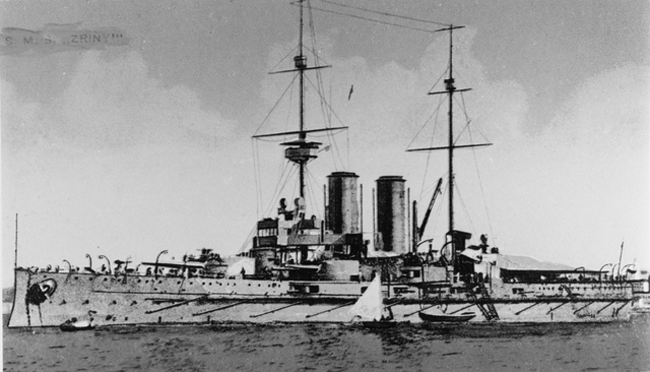 This remained lower than the Italian Regina Elena (21.5 or 22 knots) but higher than the French Danton (19.5 knots) and British pre-dreadnought battleships in general. In the end, the Erzherzog Ferdinand Max was started in September 1907, the Radetzky in November, and the Zrinyi in January 1909. 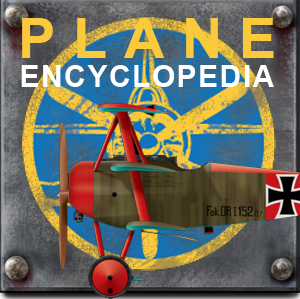 They were completed respectively in June 1910, January and September 1911. At the same time, in Great Britain new dreadnoughts bearing ten 343 mm guns were started. The Radetzky, despite their qualities, were a generation behind. Their modest protection and imposing armament made them somewhat unstable, subject to roll, and their underwater protection, intended to lower the effects of a mine explosion, was based on F. Popper’s mathematical calculations, without tests. Prerequisites, a relatively thin double hull, designed to spread the shock of a standard 100 kgs mine. Like the others, these battleships were equipped with torpedo nets deployed at anchor, but this aggravated their relative instability when sailing. 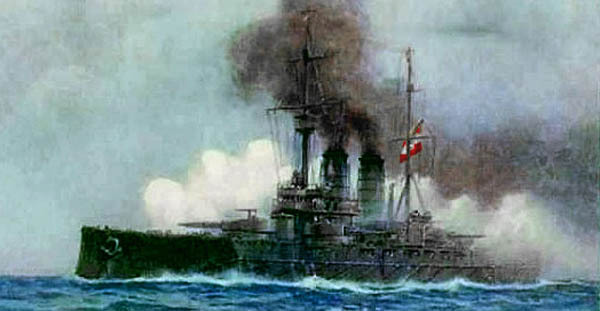 Spearheading the fleet (1st division) before the arrival of the dreadnoughts of the Viribus Unitis class, the Radetzky formed the 2nd line division in 1914. Apart from coastal shelling missions in August 1914 on the Montenegrin coast and in May 1915 on the Italian coast, they remained at Pola until capitulation. 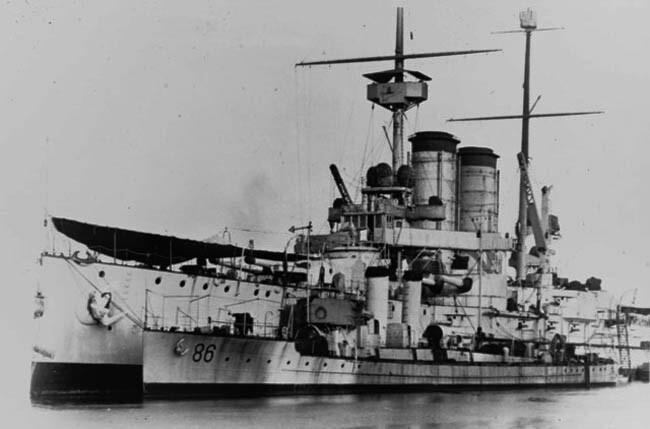 SMS Radetzky and Zrinyi were once interned in Split under good guard of the US Navy, and after the Treaty of St Germain attributed to Italy which had them broken up in 1921, and the Herzerzog F. Ferdinand in 1926. 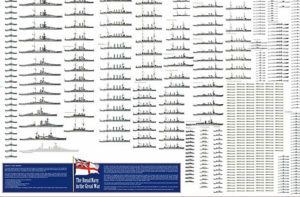 Armament 4 x 305 mm (12 in), 8 x 254 mm (8.4 in), 20 x 100 mm (3.5 in), 2 x 66 (2.4 in), 5 x 47 (12 pdr), 3 TT side, stern sub 450 mm.